Freiburg - FC Schalke 04 were not getting too carried away after moving to within touching distance of a place in the group stages of next season's UEFA Champions League thanks to a 2-0 win at SC Freiburg. Cautious optimism was the overwhelming feeling among the Royal Blue players, while Freiburg were happy to have survived a taxing campaign. bundesliga.com brings the post-match reaction from the MAGE Solar Stadion. 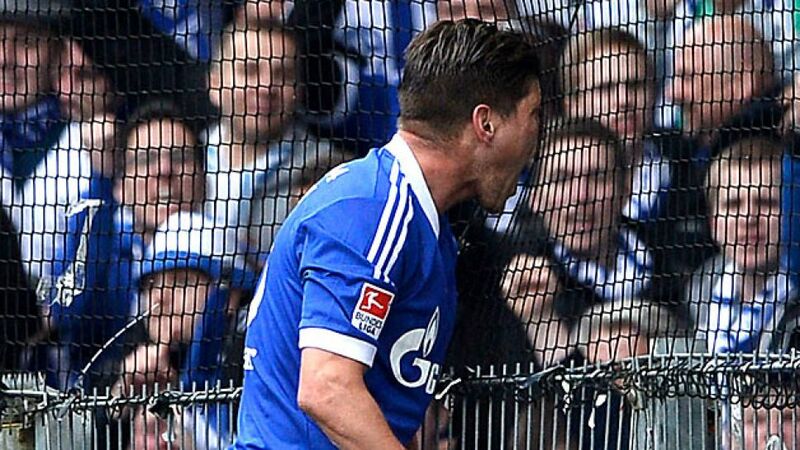 Klaas-Jan Huntelaar: I was unlucky twice, hitting the crossbar before I finally scored. We deserved to win overall, but there were a few situations we didn't deal with well. Freiburg never gave up, but I always had the feeling we wouldn't let these three points slip. We still need one point, which we want and will get against Nürnberg. We'll be playing at home, and we're a force to be reckoned with there. Max Meyer: We've shown once again what we're capable of. We were compact and everybody worked for each other. It was a deserved win and it was a very, very important one. Even if we know that a point is all we now need, we want to play to win. We're under pressure, but we'll be able to cope with it. Ralf Fährmann: It's a fair result. We played well as a team and, even after the red card for [Felipe] Santana, we kept our cool, compensating his loss as a team. Third place is now ours for the taking and that's good - we don't have to rely on anybody else. It's very hard to judge the Nürnberg game now. For them, it's going to be all or nothing. Marco Höger: I was more nervous during half-time than I was before I made my Bundesliga debut. There were so many thoughts going through my head. Above all, I was asking myself whether my knee was going to hold. My first touch then settled me. I'm delighted that my six-month suffering is now over, at last. I've worked hard for this moment and it's fantastic to have been able to return this season, and now I can finally shave the beard off. Julian Schuster: [To the home fans after the final whistle] We’ll stay up again next season!